In additi on to its little sister the Cool Butler 25, Outdoorer also offers a large cool bag in the same green-grey design. This is also a great way to keep food and drinks cool for long periods. Thus the Cool Butler 40 works very well as a cooler for the car. It is especially useful for long holiday trips with the whole family, as it holds enough food for the rest stops. When used as a picnic bag, it has enough space to carry the picnic blanket as well. As a cooling carrying case, it is ideal for bringing frozen food home. It is even suitable for use as a heat bag – for example, to transport hot food. The Cool Butler 40 is available at Amazon. 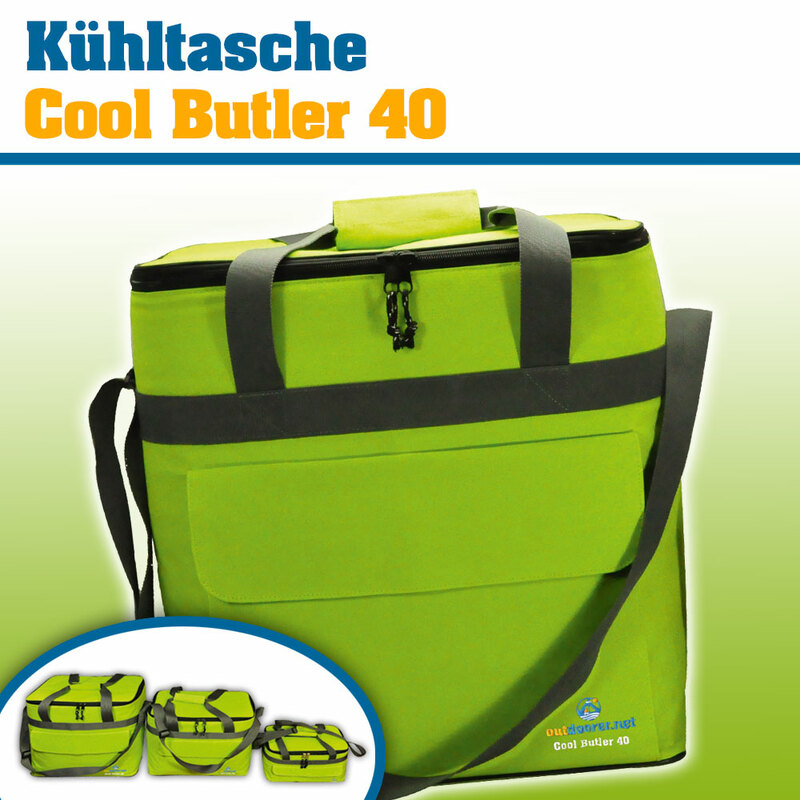 The Cool Butler 40 has a volume of 40 litres. Its 42cm height means that even large beverage bottles are easy to pack. The handles have a cover, so that the Cool Butler can be carried comfortably. For longer distances to the beach or to a picnic site, we have integrated a wide strap to make it easier to carry. On the front, there is an outer pocket for things that you want to keep ready to hand, such as a bottle opener. So that it stands better and lasts longer, the edges were reinforced at the base. Where to buy the lage cooling bag? You can buy the large cooling bag in our Amazon store.